In the last 2 years I have noticed a real trend in the gardening world – the desire to grow fruit & vegetables. Nearly every client I have worked with recently has requested an area to grow something, even if it’s just herbs, or a couple of fruit bushes. But more frequently I am asked to design a dedicated kitchen garden as part of an overall scheme. 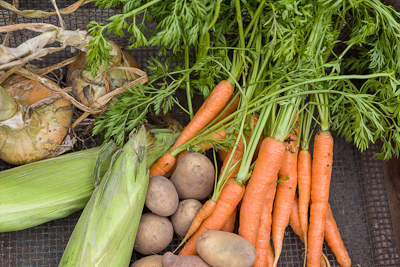 If you are keen to start growing vegetables this year, then this is the ideal time to plan. 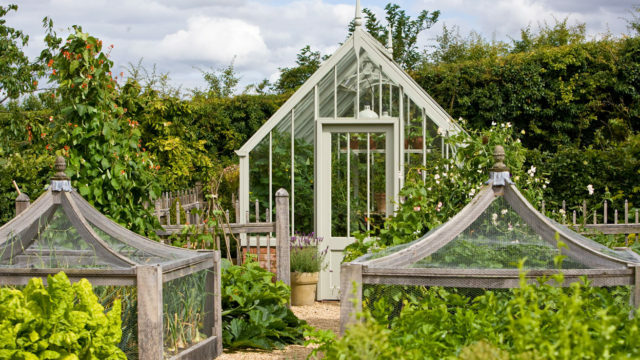 By June you could be picking your own home-grown salad and veg. And if you have enough freezer space you could be eating your own berries, currants & beans well into next year! The first thing to do is to find a sunny area which you can turn over to crops. Think what you’d like to grow and decide how much space you will need. If you’re short on space I suggest you go for things which costs a lot to buy or which aren’t readily available in your local shops. Or go for food which tastes so much better when it’s picked really fresh – sweetcorn or strawberries for example. On a practical level, site your plot within easy reach of a water supply. If the summer is dry you’ll be glad of a nearby tap. Also think about access for wheelbarrows so that you can manoeuvre around the area easily if you need to bring in heavy sacks of compost or take rubbish away to your compost heaps. 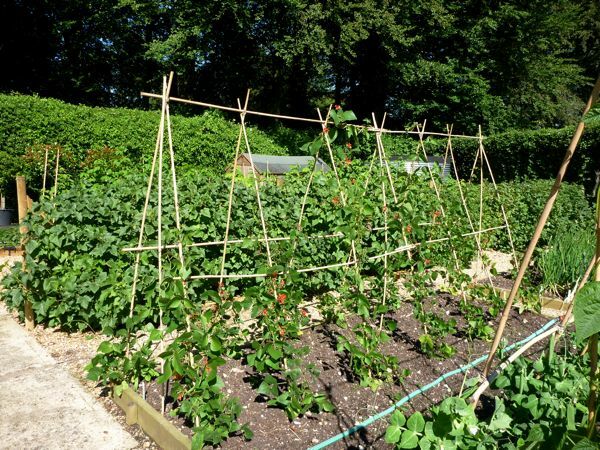 I design kitchen gardens with beds which are 1.2m wide so that whatever is grown within them can be reached by leaning over from the side, thereby avoiding the need for standing on the soil. Especially where soil is heavy, I recommend building raised beds from mini-sleepers or softwood planks held in place with corner posts. 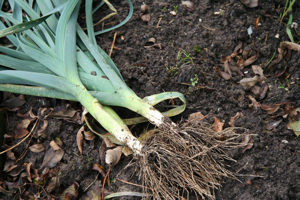 Raising the soil and adding organic matter (manure or compost) will improve the condition of the soil, help it drain better, and also help it to warm up quicker in spring. So if you are gardening on clay soil, this is the ideal way to grow veg. Pathways between the beds can be paved, or use a layer of bark chippings or gravel over a weed-suppressant fabric. One advantage to using gravel is that it deters slugs, so you may improve your chances of success as a result. Though I can’t guarantee that! Top tip – grow more seedlings than you need to begin with, so that if the slugs or snails take the first batch, you’ve got more in reserve. I grow my currants and strawberries under netting, but don’t usually have problems with birds eating loganberries or raspberries. 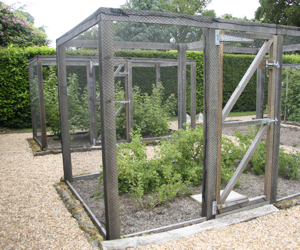 If you are in an area where rabbits and deer are a problem then you will need to fence off individual beds or the entire kitchen garden. Just one note of caution – growing vegetables on a large scale is hard work! 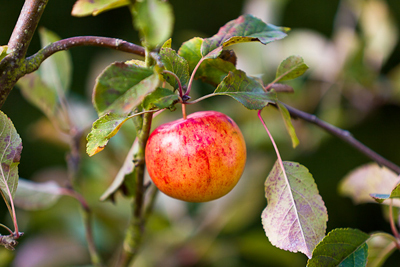 Over the summer you need to plan for you or your gardener to be around to pick fruit & veg. 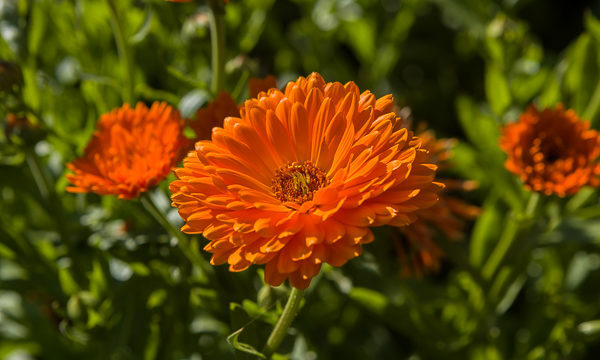 regularly, to keep the weeds and slugs at bay, and to do lots of watering – assuming we are lucky enough to have some decent weather. From my own experience on an allotment with heavy soil, no two years are the same weather-wise and I never know what will succeed from one year to the next. But there’s no getting away from it, growing – not to mention eating – your own fruit & veg. is a seriously satisfying way to spend your time. Go for it!